"AWAKENING THE BEST IN LIFE: DISCOVER YOUR PURPOSE, UNLEASH YOUR POWERS, REALIZE YOUR POTENTIAL!" We love to promote your professional and personal development to play an infinite game, making the world a better place for all living systems on our planet. Our teachings are focused beyond the horizon on four pillars. The first pillar involves Learning Journeys, tailored executive education for your requirements. We provide a comprehensive system that anticipates the future needs of your organization, by leveraging strategy execution, change management, leadership development, and cultural transformation in our curricula. The second pillar consists of Consulting Master Classes, where we focus on creating outstanding consultants, coaches, and experts for organizational development. We share exclusive insights from over two decades of international consulting experience, working with over 20 Global 500 companies. Our approaches deliver high-impact results through a combination of attitude, mindset and behavior. They are harnessed with a suite of leading-edge tools and methods of collective intelligence. The third pillar, our Collective Intelligence Seminars, help leaders thoroughly process the Why, How and What of collective intelligence. You discover swarm organizations, agile leadership and the drivers that improve a team’s collective intelligence. It is a strategic upgrade of your leadership qualities to successfully navigate in the VUCA world. The fourth pillar consists of a 1 week intensive program titled Re-Invent Yourself. This immersive, transformational learning experience is for leaders and all who seek personal development to keep pace with our ever-changing environment. On this journey within, we provide a visionary set of tools, exercises and frameworks that elevate your self-awareness, mindfulness and spiritual growth. Alexander the Great is among the most influential and successful people in history. But he was also tremendously driven and restless. The Greek philosopher Diogenes, strongly opposed to material desires, considered him a slave of slaves. The tension between these two extremes resonates still today, 2000 years later. In the course of his material conquests, a bewildered Alexandre received education from Aristotle, who freed his mind of limiting beliefs. Yet freedom from his cognitive prison was only half of the journey. Diogenes would’ve completed Alexander’s personal development by initiating the discovery of his inner world. However, that was not to be, as Alexander died before it was made possible and his empire subsequently collapsed. The American mythologist Joseph Campbell revealed in his comprehensive studies of collecting legends, myths and narratives around the world that from the dawn of mankind to the latest successful Hollywood productions, the protagonist, the hero, the one character most viewers identify with is the one who learns the most. The plots that we as a species like most all start by introducing the incompleteness of the hero by showing her live in the comfort zone. A call to adventure demolishes the comfort zone of her old world, making development inevitable. At first, the hero struggles stepping onto the path into the new world. Then she adapts on her road of trials to the new and changing circumstances. Life for the hero is uncertain there. She will only make it if eventually she experiences an inner turnaround, which transforms her into the master of two worlds, the old and the new. This is the evolutionary progress to the next stage of her capabilities and consciousness. The grammar of the “hero’s journey” demonstrates how we humans take learning as one of our highest virtues. Unfortunately, learning for personal development, has been a luxurious privilege of the upper class for many centuries. After a long period of stagnation and cultural setbacks, education for everyone was on the rise with the first compulsory school attendance laws in the 17th century. However, the motives of reigning class were not to foster the collective intelligence of their people but individual obedience. They wanted their subjects to stay compliant citizens, disabled to rebel against them. Their solution was simple: pedagogical concepts that foster individual performance, conformity in thinking, and heavy punishment for real collaboration or co-creation. Until today, we still hang on to most of these principles in our education system. During a test, students are strictly kept from helping their neighbors or from seeking help. Building on each other’s ideas during an exam is sanctioned drastically. The message this conveys is that for the really important moments in your life, in your career, in your development you have to be on your own. Of course, everybody who believes this is handicapped for collective intelligence. To realize our collective potential, this has to change dramatically. For the first time in human history, we live in times of exponential extremes. We have produced more scientific articles in the last 10 years than in our entire history of human kind before. 3,000 years ago, changes in the environment were so slow that most people on our planet could rely on the experiences of 30 generations before them. 300 years ago, at the dawn of the industrial revolution, these valuable experiences expired after 3 generations. Today, the big parts of our knowledge are not even valid for a whole generation anymore. We count the years until what we know is outdated. This turns around the information flow between the generations for the first time in our history. The younger generation educates the older one. Today’s kids tell the seniors how to use modern communication technologies, devices, computers, and the internet. 1492 New School of Business empowers you to discover your purpose and unlock your innate ability to realize your full potential. "AWAKENING THE BEST IN LIFE!" Self-confidence, trust, engagement and job satisfaction are threatened in these turbulent times. Our response to this often generates even more stress and frustration. In both our personal and professional lives, at school and in business, we’re taught to believe that hard work leads to success, which in turn results in happiness. Unfortunately, this is not true — in fact, it’s the opposite. When you lead with a positive attitude and healthy mindset, the likelihood of academic and professional success exponentially increases. Opting for happiness from the start is the fundamental driver for progress. However, the ability to change your mindset is directly linked to your capacity to question reality and re-frame it by harnessing your cognitive, emotional and social intelligence. Built on the latest developments of neuroscience, positive psychology and epistemology, we enable you to continuously progress in crafting your own success story. Born in 1962, Michael became an entrepreneur at the age of 19 prior to focusing on academia, managing a family business following his career as an Austrian ski racer. His studies include philosophy, psychology and system theory, along with an MBA. In 1994, Michael founded the 1492 group in Cologne, Germany, to enhance collective intelligence within organizations in balance with global consciousness. He also spent a decade researching social learning at the University of Witten/Herdecke. Today he continues to look beyond horizon, coordinating an interdisciplinary research network in exchange with the MIT Centre for Collective Intelligence in Boston, USA. Michael is a scientific author, a blogger for Harvard Business and a life coach. He gives keynote speeches to large audiences and is an adjunct professor at several renown business schools and academic institutions around the globe. born 1962, has studied Business Administration in Landshut and Munich. After several years as consultant at Roland Berger he joined Apple where he held different European and global management positions. When he changed to Nokia he lead and transformed the Global Customer Service department as Vice President and then prepared for the roll-out of a company-wide organisational development program. He has long experiences and a proven track record in the holistic development of global Customer Service strategies, general strategy development and execution, as well as the design and implementation of transformation and change programs. As executive advisor, Maximilian Kammerer consults private equity and start-up companies and supports their corporate development. Peter Panholzer, born 1958 spent his childhood within a family owned small/middle enterprise. After having finished his studies (construction engineeer & business administration) he worked for many years as a trainer and consultant. Later on he changed to management and was the trouble shooter and chief production officer in a family owned Austrian industrial enterprise producing and exporting hydraulic knuckle boom cranes. He has been working as a consultant and interims manager again since 1995. He is a founding member of 1492 The Collective Intelligence consultancy and MPS Uniconsult. He is specialised in consulting and if necessary also managing turnarounds, reengineering and reorganizations. The combination of interims management and managing of complex projects and processes, initiating new organizational designs, clari-fying and implementing tasks/ responsibilities/ competences, accompanying mergers & acquisitions and designing supply chain processes enables companies to realize sustainable growth and change. He‘s also trained as a systemic consultant. Dr. Mirko Zwack, born 1981, studied Management & Economics in Witten, Germany and Stockholm, Sweden as well as Psychology in Innsbruck, Austria. His award-winning PhD-thesis revealed the power of stories in leadership. As a consultant at 1492 The Collective Intelligence he designs and facilitates seminars in holistic transformation programs for international clients. In his work as a trainer and coach he brings in hands-on business competence as well as deep psychological understanding of leadership processes. Mirko has been a Business Developer as well as a Managing Director of a business unit of one of Europe’s largest education companies. Furthermore he is an experienced clinical psychologist. Since 2011, Mirko is lecturer for systemic change and consulting at multiple institutions, such as the University of Hannover, Germany as well as the Tongji University of Shanghai, China. He’s author of a book and several articles on leadership issues. Between 2009 and 2012, he was part of a team of scholars at the University of Heidelberg funded by Volkswagen foundation doing research on the key success factors of enterprises with an aging workforce. 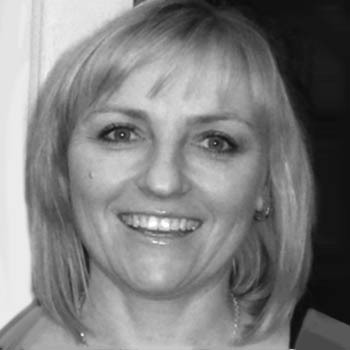 She is the head of coaching at 1492 and an experienced executive coach since 2007. She owns the 720° Sonar coaching certification program for the New School of Business, ,where she is teaching and developing leaders for 21stcentury. Since 2018 Katja is also a certified teacher at the “Search Inside Yourself Leadership Institute” born at Google based on neuroscience. She conducts the program about emotional intelligence, mindfulness and leadership to any organisation. Gabriele Kaiser, born 1969, is the manager of an A1 retail store, which is the market leader in telecommunication in Austria. After completing an apprenticeship as a hotel manageress she started from scratch as a sales woman in the telecommunication sector, whereby she soon got promoted to the head of the sales department. Gabriele took the chance to become an entrepreneur in 2008 and became one of A1’s best franchise partners nationwide. Hence, Gabriele not only exactly knows how to coach a sales team, she also has broad knowledge and experience in running a business successfully. She gave up her career as an entrepreneur in this branch in 2015 to make her dreams come true, which is why she started studying psychotherapy at the Donau University Krems, in 2013. 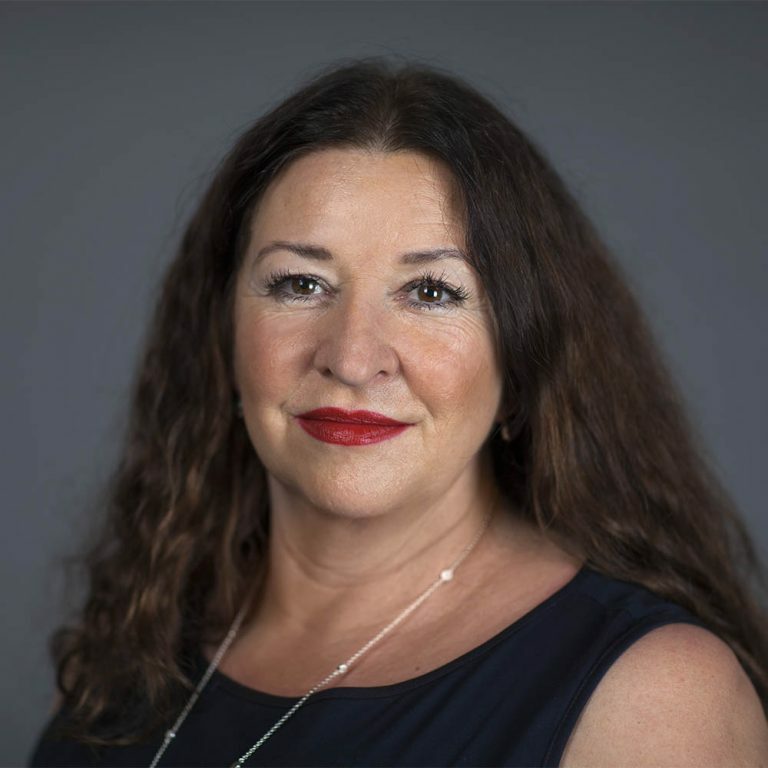 In her studies she specialised in psychodrama, which is characterized by an emphasis on group therapy and additionally includes academic education in supervising and coaching. Now, as a coach, she gets the opportunity to combine the knowledge she gained from her studies and her long experiences in leadership. born in 1982, David specialized in Business Ethics and Organizational Development during his Philosophy & Economics studies in Bayreuth. He furthered his education with International Management and Leadership Development studies in Japan. He’s been member of the 1492 board since 2012, and is the co-founder and dean of the 1492 New School of Business, offering collective intelligence seminars and consulting master classes. He is also a scientific author and publishes the Rethink Series for socio-economic change as well as blogs for the Harvard Business Manager. 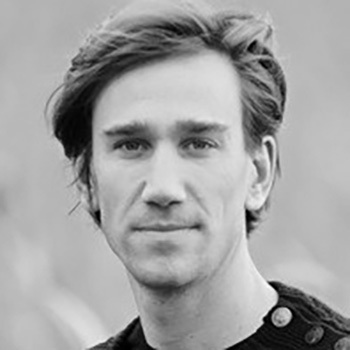 David is a speaker and PhD candidate at the University of Bayreuth in the areas of Ethical Leadership, Corporate Social Responsibility and Collective Intelligent Governance. Daniel Ziak, born in 1985. Acquired a Masters degree in finance, banking and investment at the University of Economics in Bratislava, Slovakia. Upon completion of university, he began working for the Ministry of Labor, Social Affairs and Family in Slovakia as a financial control manager of the implementation of the EU Structural Funds Programs. After two years, he changed sectors and began working as a process expert for a major IT service and consulting company, T-Systems. Having field experience in both the public and private sectors, Daniel aspired to broaden his perspective of global business issues and pursued his MBA at the National Chiao Tung University in Hsinchu, Taiwan focusing on entrepreneurship, new market development and strategic market management. This hands-on experience has translated into excellent business acumen, project management experience and a dedication to guide and help others. Daniel’s leadership qualities are the result of practical application within a multi-cultural and global context. Dr. Bernhard Schmalzl, born 1963, has joined the German Airforce, where he was a pilot. Later he has studied Mechanical Engineering (Munich) and Business Administration (Hagen). After his PHD in Engineering he joined Siemens` IT/TK Division and worked for 12 years in different customer facing units and managed up to 300 Employees in Consulting, Sales and technical field service in Germany, in Europe and global as well. In six years of Program Management within Unify he lead a 150 people project organisation working the strategic transformation program of Unify’s service unit (6000 people). He managed a lot of get well plans, growth initiatives, cost cuttings, efficiency gains, restructuring waves and finally the biggest European Outsourcing deal in the TK industry 2015 by transferring his own department of 300 technicians to IBM. As Senior Partner of 1492 his focus areas are:Eco-System enhancement, relationship building and value modeling Service: Transformation & Optimization, ITIL, Outsourcing/-tasking Organization: Business Models, Strategy, Business Process Optimization, Change Management, KPIs, Customer Satisfaction. 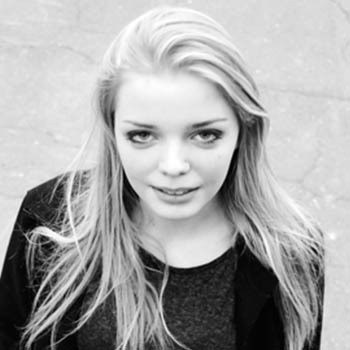 Charlotte Kufus, born 1992 in Berlin, studied psychology for her undergraduate degree at the University of Würzburg. During her studies she did several internships ranging from young start-up companies in Berlin such as Offtime and Toywheel, as well as for more traditional organisations like Siemens Healthcare and a part time job at a clinic for psychiatry and psychotherapy. In 2015 Charlotte started the MSc Social and Organisational Psychology at the London school of Economics. The programme focuses on the understanding of the interaction between organisations and the people who lead and work with/in them. It draws on social science research to build new insights for diagnosing organisational problems as well as for understanding and intervening to build new organisational capabilities. Charlotte has just finished her master’s thesis on the perception of collective creativity following a notable shift in organizations, technology and research from the admired ”lone inventor” toward more collaboration in creativity and innovation processes. Charlotte works for 1492 in a part time capacity. Born 1955, Chad is a dual US and UK citizen. He began his career in finance after a brief ATP tennis career, and following studies in the US, France and Germany. He holds an MBA with Honors in Finance from the Wharton School. 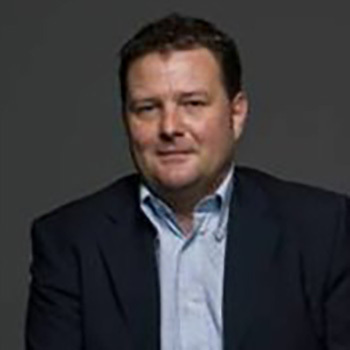 Chad moved to London in 1989 to pursue an international investment banking career focused in cross border advisory and capital raising, and in the course of a 27 year career worked on nearly 200 successful transactions across M&A, Equity, Debt, Leveraged Finance in Europe, Asia, MENA and the US. His management career as a senior managing director involved his building and managing teams of up to 80 professionals, across cultures and industries , while maintaining a broad focus on the healthcare sector. Since leaving banking in 2011, Chad has successfully transitioned to an investment management career as a senior partner with TVM Capital based in Dubai, as well as management and board positions with HCA and Ottobock. 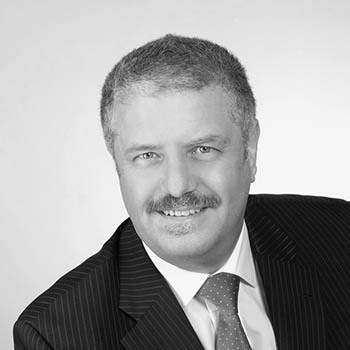 Born 1966, Stephan began his career in finance after studies in Austria and in the US. He holds an MBA in Business Administration at the Vienna University and an Executive MBA of the California State University at Hayward. Stephan started his career in Vienna at Investkredit Bank, which was specialized in financing the SME in Austria. He then moved to London in 1997 to pursue an international investment banking career at the Raiffeisen group focusing on IPOs of SME in Austria and Germany. He moved back to Vienna after one and a half years preparing and selling capital market deals. Later he joined the family owned public relations company focusing on financial & investor relations. In 2005 the company was successfully sold to Trimedia, a 100% subsidiary of the London based and stock-listed Huntsworth plc. 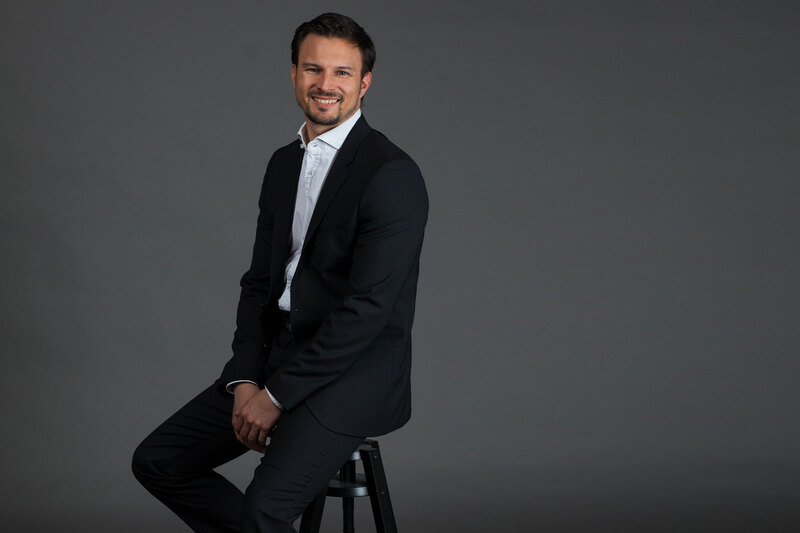 Since 2007, Stephan has been acting as corporate advisor with focus on business strategies, business plans, building equity stories, CEO coaching, team building structures, restructuring and venture capital funding. In addition, he held several part-time management positions as CEO and CFO in medium-sized companies. He is currently Vienna based and has been involved in more than 20 M&A, MBO, and IPO deals over the last 15 years. 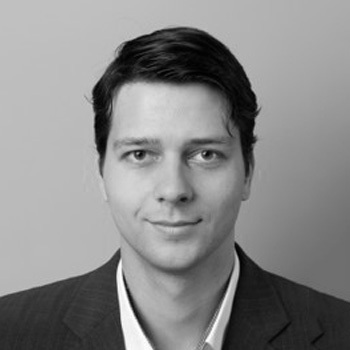 Born 1982, Georg has studied Philosophy & Economics in Bayreuth, Germany, as well as Business Administration at IE Business School in Madrid, Spain. 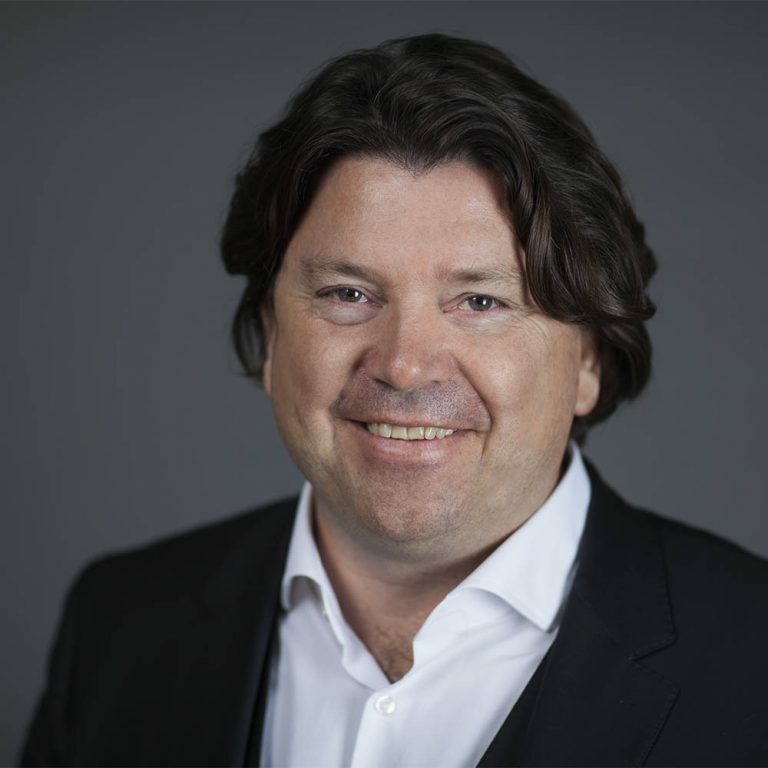 Georg has 15 years of professional experience in various industries and an extensive Corporate Strategy background with expertise both in the development and execution of global business strategies. After starting his career in Apple’s European Customer Care organization, he joined Nokia in 2006 where he held several international management positions with a focus on strategic planning, strategy development and strategy implementation. There he successfully designed and implemented the world’s first crowd-sourcing based strategic planning process involving more than 1000 employees. Since 2012, Georg has been leading several international consulting projects as a freelance strategy consultant with a focus on developing and implementing business strategies. His industry experience ranges from telecommunications over private equity and manufacturing to food & beverages. After working and living in five different countries, Georg has settled down in Helsinki, Finland and holds both the German and the Finnish citizenship. 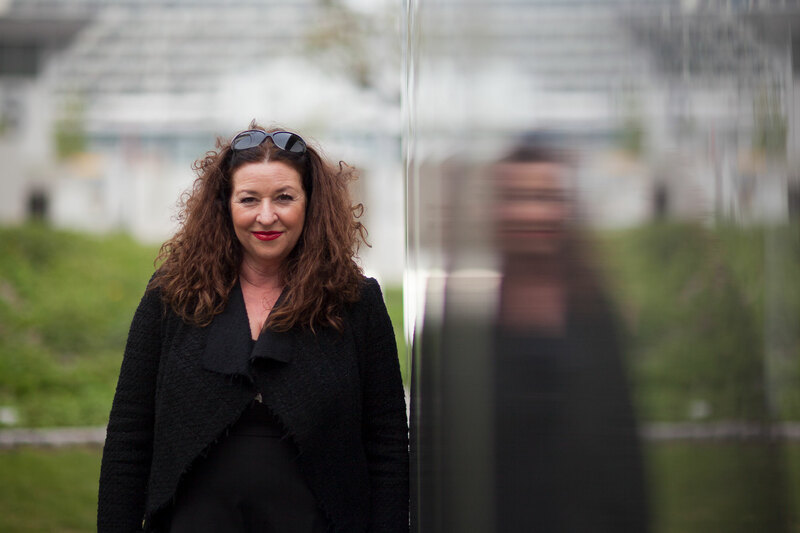 After graduating as engineer in France and Germany in 1997, Miriam joined a large aeronautics and defence company, where she worked on a wide array of topics including strategy, sales, corporate governance, HR and IS with increasing responsibilities. For almost two decades, she worked with multi-cultural teams in mergers and alliances in Germany and abroad. She concluded her corporate career as an executive in Human Resources in 2016. In 2015, Miriam decided to take a break from corporate life and started training as a Coach with Integral Coaching Canada. This led her to completely rethink the pattern of her career in order to support human development with individuals, helping them stepping up their careers, taking charge of their paths and finding an authentic way to express themselves. She is a certified Integral Master CoachTM. Miriam is married and has three young children and actively participates in community life. As a coach, she‘s able to meet and support people with busy lives and schedules, with many different roles and responsibilities in their lives. Born 1980, Felix has studied European Economic Studies and Public Policy in Germany and Decision Science and Organizational Change in the UK. He is trained in Theory U by the Presencing Institute in Boston, USA and systemic organizational consulting and solution-focused coaching by the SySt®-Institute in Munich, Germany. a) strategy work for the VUCA World, i.e. how to oscillate between time channels and build and use tension competency as an engine for strategic development; b) custom-built learning and innovation journeys that curate entrepreneurial teams around diversity, expertise and passion for a topic, empowering them to turn their ideas into action; and c) supporting team development, culture change and the design of faster and more effective decision making processes. 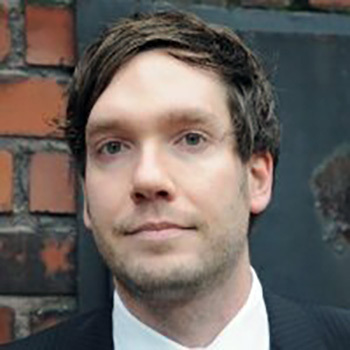 Felix, born in 1983, graduated in sports, business administration and law from the University of Bayreuth with a focus on service-management and word-of-mouth-marketing. After his studies he started his career as an independent sales advisor for different companies in the sporting business, before he joined the Amer Sports Corporation. In his last position as Area Sales Manager he was responsible for the Canadian premium brand Arc’teryx in Southwest Germany. His role included strategic planning, business development, account management and execution of international sales strategies against challenging targets. He successfully expanded the business through a strong focus on customer analysis, sales training and team development. In 2017 Felix decided to enhance his career and followed his passion for people development by becoming an Integral Business Coach. He actively supports individuals and teams in exploring new perspectives, unleashing potential and building a strong vision and plan to take a step forward. works as a policy- and strategy-consultant for a Suisse-based Company. He studied agriculture in Namibia, where he worked for several years as a farmer as well as in Canada. From 1982 until 2003 he was participating in developing the first private University in Germany, being responsible for strategic planning and fundraising. He is founder and co-founder of several companies and foundations and member of numerous advisory boards. 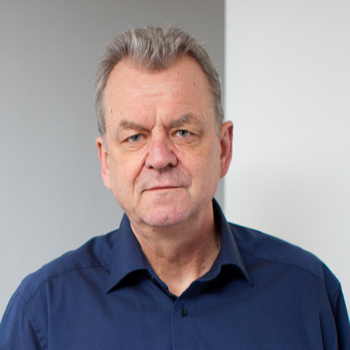 Since 2003 he concentrates on consulting and gave lectures on University Management in Austria. 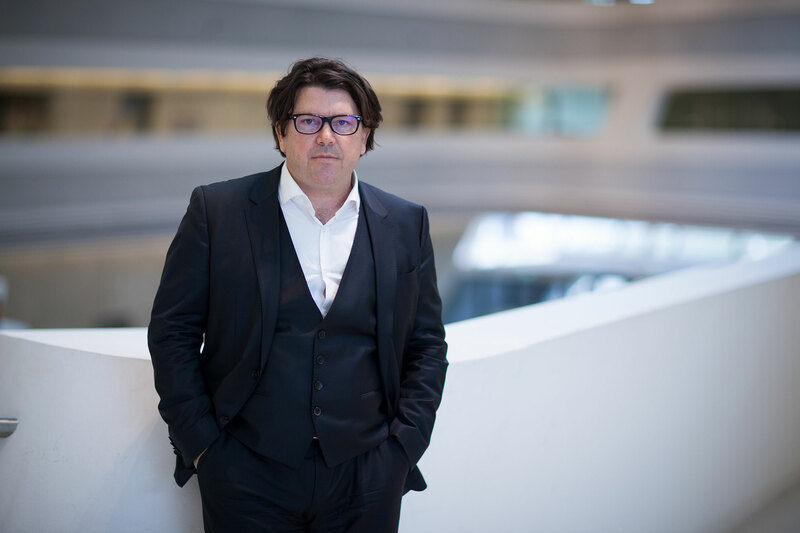 He actively supports young entrepreneurs as a coach for the “u-institute”, Berlin, which manages the “Competence Centerfor the Creative Industries” – an initiative of the German government. Michael has a strong foothold in Namibia. He chairs a foundation, which has been active in this country for more than 40 years. Jürgen Zuser grew up a family business. Later on he decided to become an engine fitter and began a teaching profession including the master craftsman diploma. After that he passed the Abitur in Germany and studied Mechanical and Industrial Engineering. Before he became a consultant he worked for BMW AG, Wintersteiger AG and Mould&Matic GmbH as part of the Greiner Group. He is working as an advisor, consultant and interim manager since 2013. His key activities are are to help develop companies. During that process strategies, change processes, structures and organisations of the company are redefined, just as business cultures and supply chains. The new company is attended unitl it effects performance. Born in UK, in 1972 to Jamaican and Irish parents nowadays Scarlett spends her time living in Europe during the summer and teaching or studying in Asia during the winter. 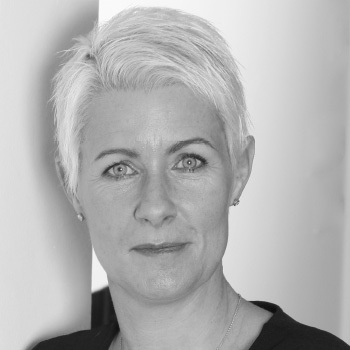 Through simple and clear instructions Scarlett offers a practical, light hearted, fun, creative, and spontaneous approach to mindfulness and yoga suited to managers and leaders around the world. Scarlett also studied intensively with Larry Schultz at ‘Itsyoga’ in San Francisco where she trained as an ashtanga vinyasa yoga teacher and also learnt to ‘fly’ training in is ‘Rocket’ series which focuses on arm balancing postures and strongly influences her self-practice and teaching to her more advanced students. 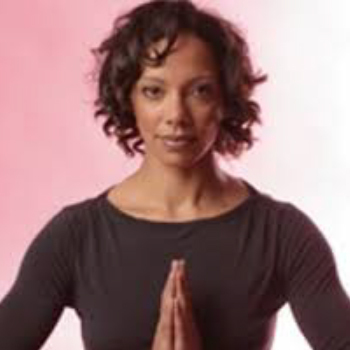 Teaching different styles of mindful energy work Scarlett’s main focus is to guide students towards having the confidence and understanding to develop a self-practice and to personally experience the transformative power of yoga. Her emphasis in her teaching is ‘its not what you do but how you do it!’ encouraging students to journey inward and explore the possibility of cultivating awareness, sensitivity and concentration of the mind, creating openings for self development and empowering students by reconnecting them to their own inner wisdom and divinity. Scarlett very passionately believes that Tantra has a major role to play in our lives. Born 1970, Sean started his secondary education with a passion to be a teacher and athletic coach. During his studies, he decided that the business field would suit him just as well. He graduated from Anderson University in Indiana with a degree in Business Management. Sean started his career as a manager with Kroger, the world’s third largest retail company. Soon thereafter, Sean changed industry and worked several operations management positions with Red Gold, INC., producers of tomato products. In 2005, Sean made a career move to work for AgranaFruit, the world market leader for fruit preparation for the dairy industry. At Agrana, Sean became a Green Belt in Six Sigma. In 2013, AgranaFruit US built its 4thmanufacturing facility in New York. Sean took on the position of Factory Manager where he continues to lead, mentor and develop new leaders. Looking back at his desire to teach and coach early on, Sean can certainly say that this passion is being fulfilled. Sean started his career as a manager with Kroger, the world’s third largest retail company. Soon thereafter, Sean changed industry and worked several operations management positions with Red Gold, INC., producers of tomato products. In 2005, Sean made a career move to work for Agrana Fruit, the world market leader for fruit preparation for the dairy industry. At Agrana, Sean became a Green Belt in Six Sigma. In 2013, Agrana Fruit US built its 4th manufacturing facility in New York. Sean took on the position of Factory Manager where he continues to lead, mentor and develop new leaders. 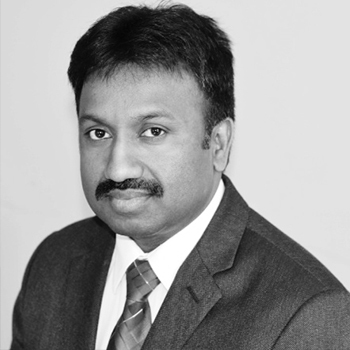 Born 1975, Srinivas has studied Engineering in Electronics and Communications in India. He holds an Executive MBA from The Wharton School of Business in the US specializing in General Management and Strategy. He started his career as a technology consultant in Cognizant Technology Solutions where he worked with clients in India and the US. 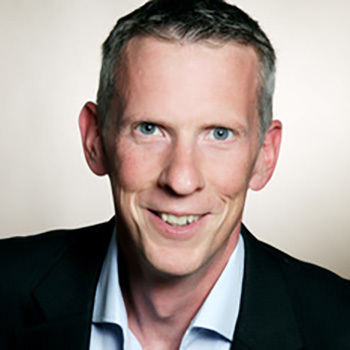 In 2001, he joined SAP Germany and lived near Heidelberg for 4 years before moving to SAP America in 2005. 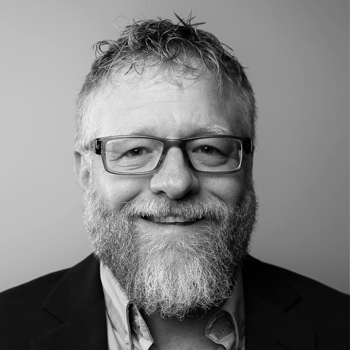 In his 20 year career, he held several global positions in Strategy, Business Development, Go-to-Market, product management, customer management, and people management with focus on emerging technologies and ERP. He developed a deep understanding of the impact of emerging technologies and enterprise applications on business outcomes across industries. As a Thought Leader , he frequently speaks and presents at conferences, customer events and panels ( SAP TechEd, Wharton Technology Conference, Analytics Leadership Summit …). As a Top Talent Fellow with SAP Private Equity Team in 2017, he worked on building and expanding partnership with Private Equity firms through individual and cross portfolio value creation activities, and thought leadership executive workshops. He also worked on development, scaling, and execution of M&A efforts post transaction, coordinating with Industry Value Engineering and License Management to productize the M&A offering from SAP. In his current role as Sr. Director, he works with customers globally on value creation through digital transformation by providing professional advisory services, and leading co-innovation initiatives. He is a US citizen and lives with his wife and two children in Philadelphia, US. Born 1968, Hannes rooted in a family owning a middle sized enterprise. After having finished his studies at Vienna business school, he worked for many years as a trainer / consultant & interim manager. His management expertize derives from working as CEO of a Volkswagen AG franchise. He is specialised in company audits, global roll out of IT projects & has both consulting as well as management expertize in transformation of new business models & trouble shooting within different industries (logistics / oil & gas / pharma / automotive). Hannes is trained and certified as corporate risk manager and systemic consultant. He developed a risk management software tool & audited over 180 companies within Europe & Asia. He is a founding member of 1492 The Collective Intelligence consultancy. Matthias Bellinghausen, born 1974, has graduated in economic geography. While studying, he started his career in 1996 by assisting 1492 Outdoor-Leadership programs. After his graduation, he continued working as trainer and facilitator until 2006 in various projects with global and international companies. He then took a look into company enterprise risk management by assessing corporate risks in human resources management. 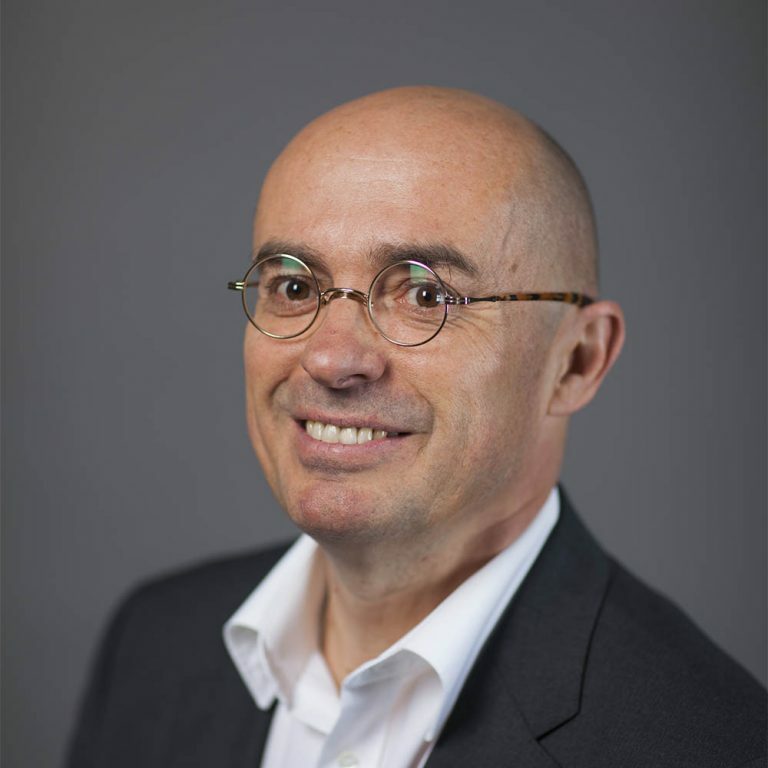 In 2008, Matthias re-joined 1492 as consultant and executive coach. He has specialized in developing strategic HR-Projects. 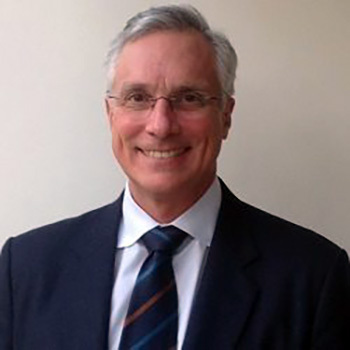 During his internship in a leading position in an international operating SME, he was responsible for the development and implementation of personal development strategies and instruments, such as management by objectives, recruiting & employer branding, custom competency models, implementing feedback (appraisal interviews, 360°feedback) and team alignment workshops. 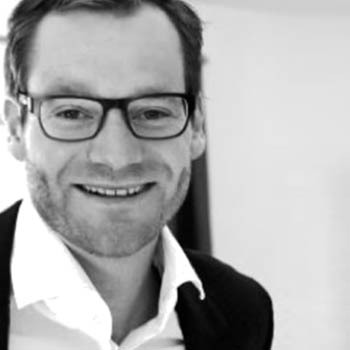 Matthias has extensive experience in change management, culture development and team building. He is also a certified Business Coach and certified Mediator for conflicting teams and individuals. Katja began her career in 1982 as a classical actress in Germany, eventually becoming successful in award winning television shows and movies. Since 2002, she’s developed “Shakespearience” at the University of Witten/Herdecke, a methodology that supports leaders in better incorporating and performing their role within their organisation. She conducts leadership programs worldwide in the public and industrial sector, developing authentic leaders through improvement of their stage performance skills, demonstrating how appearance and mindfulness create followership and engagement. Since 2018 Katja is also a certified teacher at the “Search Inside Yourself Leadership Institute” born at Google based on neuroscience. She conducts the program about emotional intelligence, mindfulness and leadership to organizations. 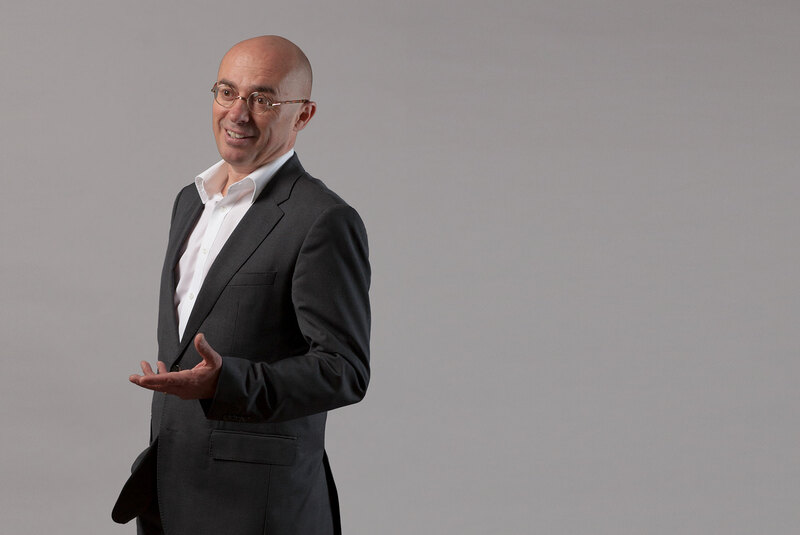 Born in 1962, Michael became an entrepreneur at the age of 19 prior to focusing on academia and education, managing a family business following his career as an Austrian ski racer. His studies include philosophy, psychology and system theory, along with an MBA. When he changed to Nokia he lead and transformed the Global Customer Service department as Vice President and then prepared for the roll-out of a company-wide organisational development program. He has long experiences and a proven track record in the holistic development of global Customer Service strategies, general strategy development and execution, as well as the design and implementation of transformation and change programs. 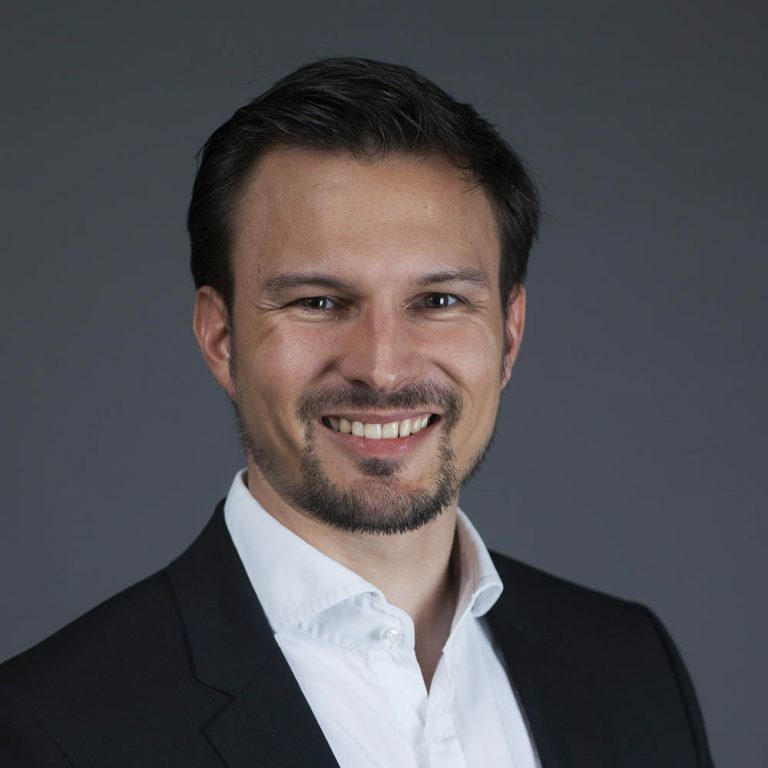 As executive advisor, Maximilian Kammerer consults private equity and start-up companies and supports their corporate development.